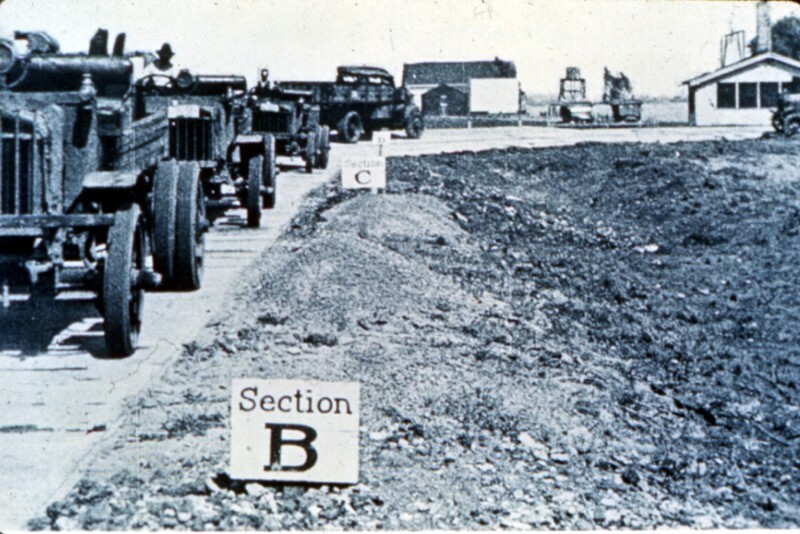 The Bates Road Test was constructed in 1920 with over 63 test sections (32 PCC). Additional thickened edge sections were built in 1922. Liberty trucks with dual 5-inch solid rubber tires on rear axle were used. 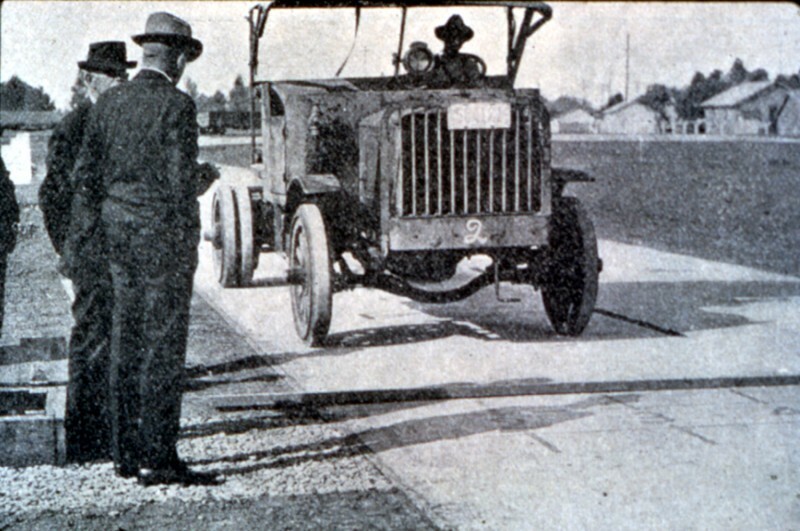 The Associated Press reported in 1926 that highway officials estimated that the pavement tests saved the state $9 million in construction costs. Thickness design procedures were also developed. The test road ran from Bates, IL (SW of Springfield) east to Farmingdale Road (~2 miles) on what is now old US54.